I would like to take a moment to thank all of you for your kindness in attending this evenings retirement dinner in my honor. This occasion brings together my family, friends, and co-workers in what I am certain will be an emotional event. 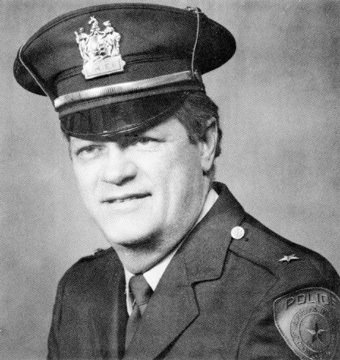 I have very fond memories of my years as a policeman and was very proud to serve my community. Though I always considered myself a person with "old-fashioned" values, I continually tried to be innovative in making our department as efficient as possible. I was very fortunate that my ideas to improve the department were always warmly received by the Mayors, Councils, and Borough Clerks with whom I served. Without this teamwork the advancements of our department would not have been possible. I always had a strong commitment to pride, honor, and self-achievement. I would encourage all policemen that come after me to be dedicated in ways to insure the highest efficiency of their departments. Times have changed and gotten more dangerous over the years and the need for competence and dedication has never been greater. I was fortunate that in my 42 years I only fired my gun once while on duty  and that was to kill a wild fox (a topic that I am sure will surface with tonights "roasters"!). A solid police department will insure the continued safety and family lifestyles of our local citizens in the future. In addition to my work as a police officer, I was always committed to volunteering my time and knowledge. America is a great nation that is in need of volunteers. I would encourage all of you to find the time to volunteer in an area that you find interesting. There is a greatly satisfying inner feeling in knowing that you have helped others with your own time. In closing, I wish you all well. The time has come for me to start enjoying the grandkids and the outdoors. I truly believe that I have given the Borough of Hasbrouck Heights my best and I wish our community the best in the future. It has been a great pleasure to have such a loving family  a great pleasure to have so many good friends  and a great pleasure to have had such conscientious co-workers over the years. I greatly appreciate this dinner and I know that I will never forget this evening.